In engineering, the allowance for, and the harnessing of, natural or artificial fluid processes is often the means by which a design objective is met. 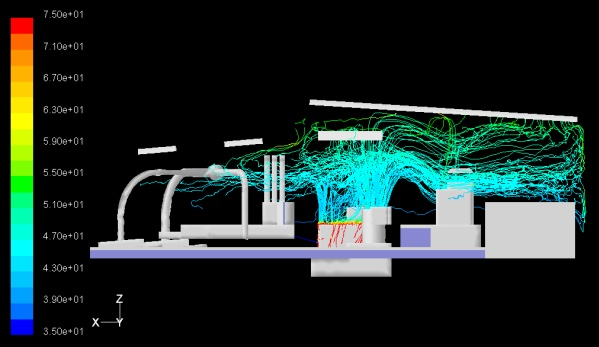 For instance, knowledge of smoke movement in enclosures such as atria, underground stations and tunnels, affects the method and capacity of ventilation; local topography, man-made structures and the prevailing wind can determine the effectiveness of airborne pollution dispersion; determination of wind loading on structures such as bridges directly affects form and materials. 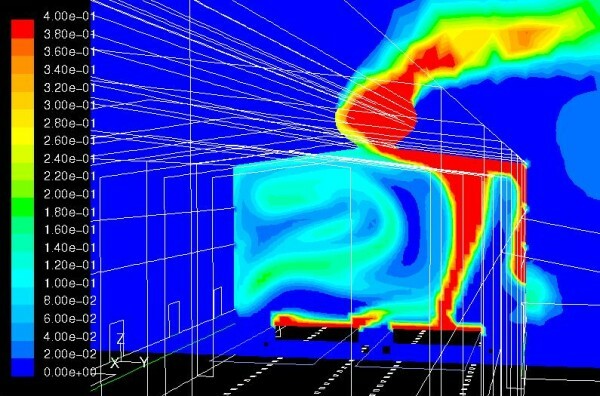 Computational Fluid Dynamics (CFD) is an advanced engineering tool used for understanding and quantifying the three dimensional behaviour of gases and liquids in a specified environment such as a building, train tunnel, subway station, or even industrial machine. 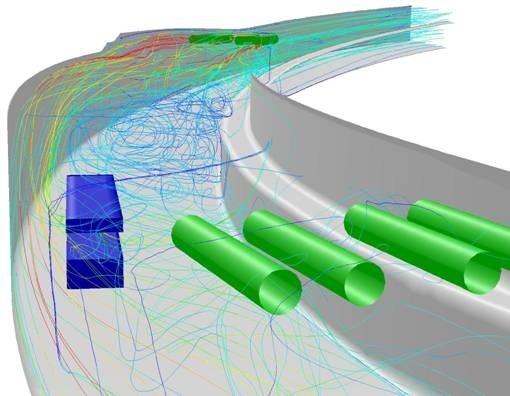 In many instances, CFD provides the only reliable analytical method for quantifying fluid design parameters, particularly when the enclosing tunnel, building or machinery geometry is novel or complex and not yet built and available for testing. Essentially, if it flows we can simulate it. CFD has applicability to most industries for concept development, design processes, and forensic analyses. Consideration of the limitations of the technology, sensitivity to key model assumptions, and effects of model simplifications is just as important as a thorough and qualified understanding of fluid and thermodynamic principles. Stacey Agnew applies its CFD technical capability as a component of our overall engineering approach. To that end, Stacey Agnew will never recommend CFD when a solution can be obtained by simpler, reliable analytical or experimental means. Stacey Agnew doesn’t support “Colourful Fluid Dynamics”; the use of CFD only for the novelty of the resulting “pretty pictures”. For fire analyses, CFD can model three dimensional steady state and transient flow with combustion and thermal buoyancy. For other applications, CFD can simulate laminar or turbulent flow, compressible and incompressible fluids, heat transfer, inter-phase transfer processes, body forces, distributed resistance from porous media, particle/droplet interactions and combustion. Results from the analyses are produced as plots of streamlines, flow vectors, and contours of temperature, smoke concentration, pollution concentration, and airspeed. Analyses are reported with detailed comments regarding conclusions. Graphical results can also be delivered as video files when appropriate.